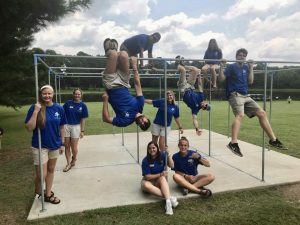 SUMMER STAFF APPLICATIONS FOR 2019 ARE JUST AROUND THE CORNER!!!! Always wanted to work at a Christian camp for the summer? Would you like to have the senior camp staff mentor you while serving groups using Timber Creek? If so, this is the place for you. Our desire is to serve children, youth, and adults with an unmatched degree of excellence and at the same time pour into YOU. It all comes down to service and discipleship. It is guaranteed to be a time that will change your life! If you are interested in working at Timber Creek in 2019 we will be opening our application process November 1. 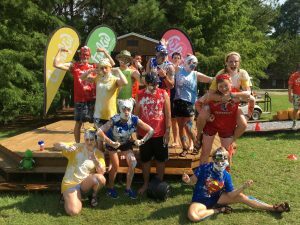 Each year we hire up to 6 girls and 6 guys to spend the summer at Timber Creek serving, working, and building community. We would love to talk with you about becoming a part of our family. Call us at: 601-536-9012 or 601-536-2125. Applications are open for any college student who graduated high school in 2018 or before. There has never been a better time to get involved in what God is doing at Timber Creek. He is moving in mighty ways. We can promise this will be 10 weeks that will change your life. Call us to receive an application today to start the registration process.